Form follows function! The team at Studio Kluif knows how to achieve this. With bold and recognizable designs, they surprise both consumers and marketers. The fact that 'beauty' is part of their vocabulary, is proven by the Hieronymus Bosch vase. Make sure you have this masterpiece in your home! 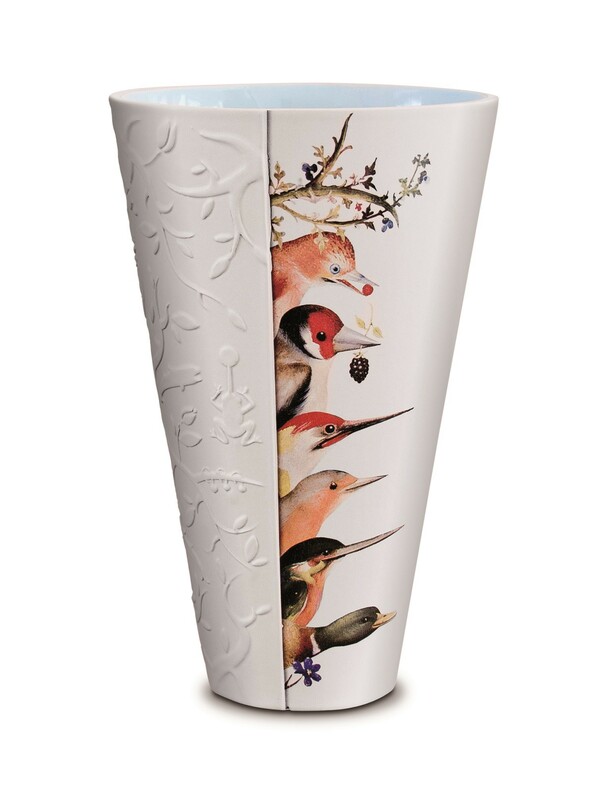 The Cor Unum Jheronimus Bosch vase is a designer vase based on the famous painting by Jeroen Bosch: The Garden of Earthly Desires. This Dutch design by Studio Kluif was specially designed for JB500. The combination of photographic detail and relief make this Jherovase extremely imaginative. Extremely decorative: combine multiple vases! 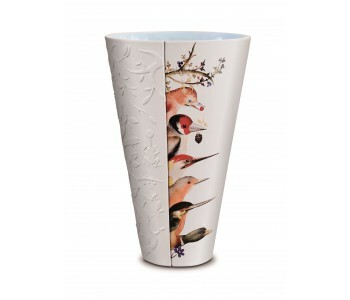 The Cor Unum Jheronimus Bosch Vase is a product from the JB500 collection (2012). Studio Kluif designed a special vase for this unique event celebrating Holland’s most important medieval painter; Jheronimus Bosch. The Jheronimus Bosch Vase has a combination of relief and details inspired by the Garden of Earthly Desires by Jeroen Bosch, as found in the Museo del Prado in Madrid. Never before could you get hold of Jheronimus Bosch’ masterpiece so easily. The Cor Unum Ceramics Jherovase by Studio Kluif is a unique combination of sensuous design and imaginative imagery from the famous Dutch work The Garden of Earthly Desires by Jeroen Bosch. This Dutch designer is the result of the manifestation Jheronimus Bosch 500. Even without flowers the Jheronimus Bosch vase has decorative value! The Jheronimus Bosch Vase is made in small amounts in the ceramic studio Cor Unum in Den Bosch. Not coincidentally Jeroen Bosch’ town! The name Cor Unum stands for ‘one of heart’. To underline this, the people at Cor Unum Ceramics work with a certain distance from the labor market. The Jheronimus Bosch Vase is made of matt white ceramic combined with a light blue inside. It is a two-part design of photographic compositions of birds and graphical elements that Studio Kluif designed for JB 500. Both the colorful elements and the relief are based on the Garden of Earthly Desires painting by Jeroen Bosch. The Cor Unum Jheronimus Bosch Vase is 28 cm high and has a diameter of 18 cm.